When selling your home, Indian Springs Real Estate offers an exclusive and unique advantage making us #1 at Indian Springs home sales for the last 8 years in a row with above average results!!! It's a combination of fantastic training, cutting edge marketing and old fashioned hard work that makes us #1 year after year! Listing your home for sale with our on-site real estate sales office offers us the unique ability to specifically focus on marketing your home, finding buyers & selling homes. Because we are on-site, we quickly respond to spontaneous buyer inquiries & showing requests which leads to written deals. 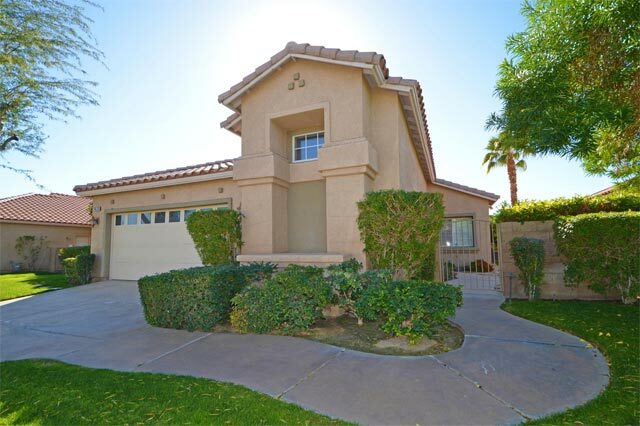 Being able to market your home to “walk-up inquiries” inside the golf clubhouse and Big Rock Pub or to “self shoppers” coming into our open houses off Jefferson Street is a valuable asset to our sellers. Why? Because we are actively looking for and working with buyers, which makes us consistently #1 at finding & representing buyers of Indian Springs homes! Today's home shoppers are online using the internet to preview homes. Online marketing is another specialty of ours. We know that over 90% of today's home shoppers are online previewing homes and that is where we excel because we know that if you don't have a good looking listing online, your home will be moved to from the "must see" list to the rejected pile. 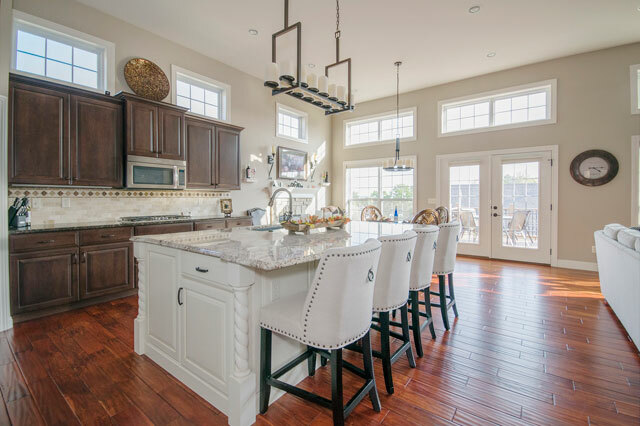 When you list your home with Indian Springs Real Estate, your listing will have bright dazzling photographs accompanied with a 2D and 3D virtual tours. 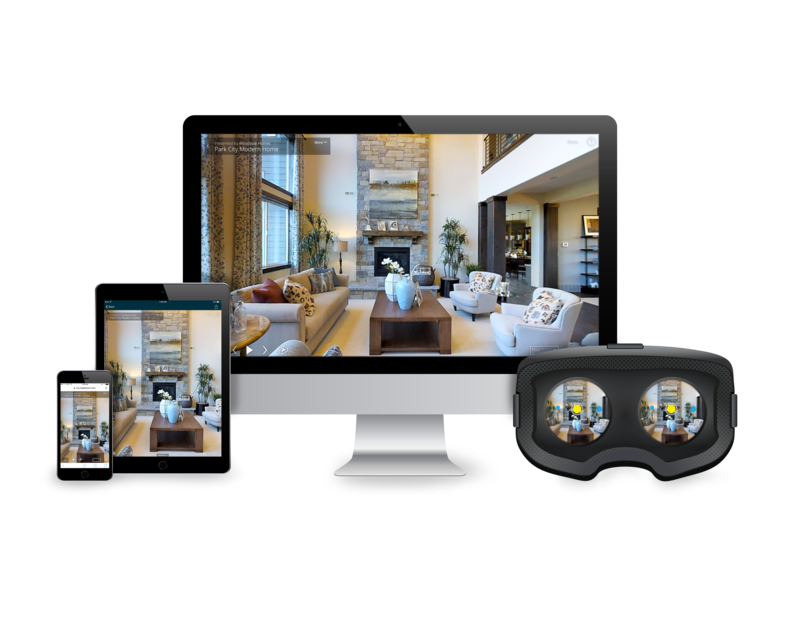 Great pictures with virtual tours demonstrating how your home flows and feels will significantly increase the odds of internet shoppers wanting to see your home... and the more buyers that visit your home, the sooner your home will sell! The combination of cutting edge technologies, a fantastic marketing plan, an awesome internet presence, and old fashioned hard work brings us more buyers for Indian Springs homes than any other off-site office or agent in the area. Our on-site real estate office is open 7 days a week providing unmatched convenience for buyers with unequaled results for sellers. This is truly a “win-win” combination that ONLY Indian Springs Real Estate offers! Think twice about listing with someone working “off site”or in another town or from home. They cannot be here for you, like we already are. 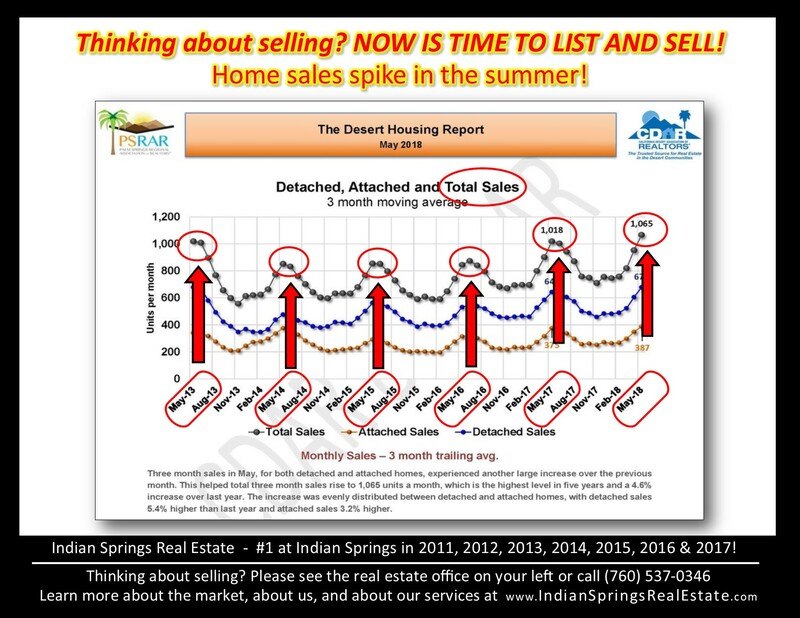 Because of this, we are #1 representing both sellers & buyers at Indian Springs for the last 8 years in a row! 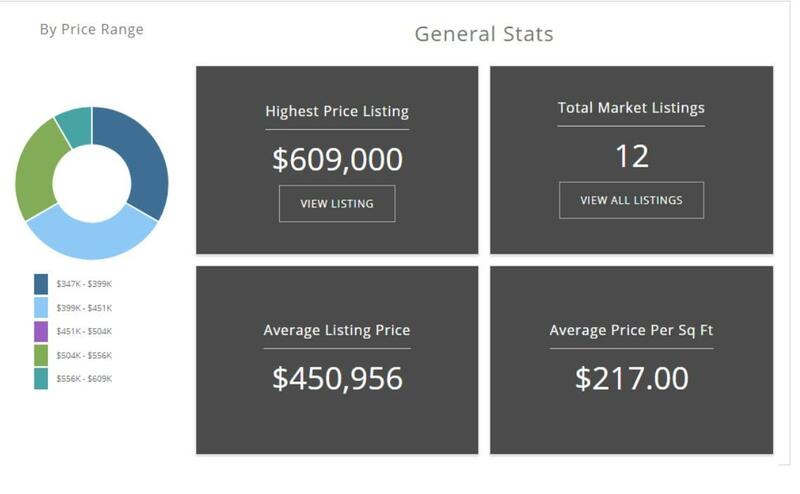 If you are thinking about selling and considering who to list with, you should check the stats. Numbers don't lie. Click here to see the stats! If getting as much as possible for your home is important to you, then you need to know that we sell homes for an average of 7% to 9% more per sq ft! That’s thousands more than any discounted service offers or can save you! Click here to see the stats! We are #1 at Indian Springs home sales. Year after year, we represent more sellers and most importantly to you as a seller, more buyers of Indian Springs homes than any other agent or team! In addition to working hard throughout the week and on weekends in our clubhouse office and in open houses to find buyers, we utilize a full marketing plan including magazine advertisements, direct mailings, open houses and internet syndication to provide high quality international exposure with local personalized service. We work as a team to service our clients while utilizing state of the art technology to market and sell your home... and it works! Do not make a mistake by calling on a "friend of a friend" or a discounted "list and leave" agent to stick a sign in your yard while they work from home or another area! Don't be tempted by discounted rates resulting in substandard service! It will cost you far more in the long run! It will cost you more than you think you are saving up front! They do not work as hard as we do at selling Indian Springs, finding buyers and selling our listings! 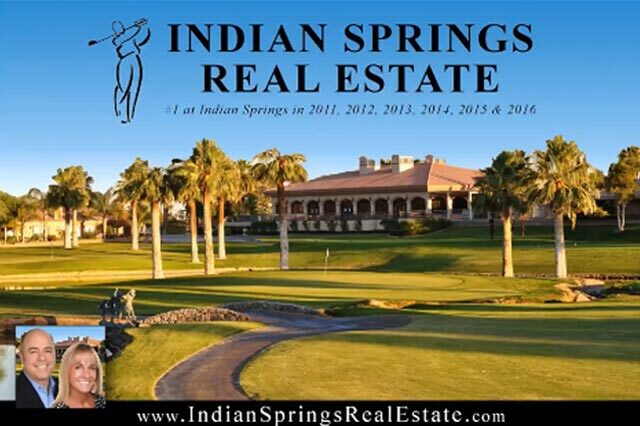 Don't forget, we are the #1 real estate office at Indian Springs Golf Club. We have sold more homes and have found more buyers that anybody else in 2011, 2012, 2013, 2014, 2015, 2016, 2017 and again in 2018!!! - Click here to see the stats! If you are considering selling, call Chris and Traci at Indian Springs Real Estate because you deserve the best! We can discuss the current market conditions, recent sales, your home and how to help fulfill your real estate needs. We would be happy to meet in your home or in our clubhouse sales office... or if you are out of the area, we can chat on the phone or via a video conference call on Skype! 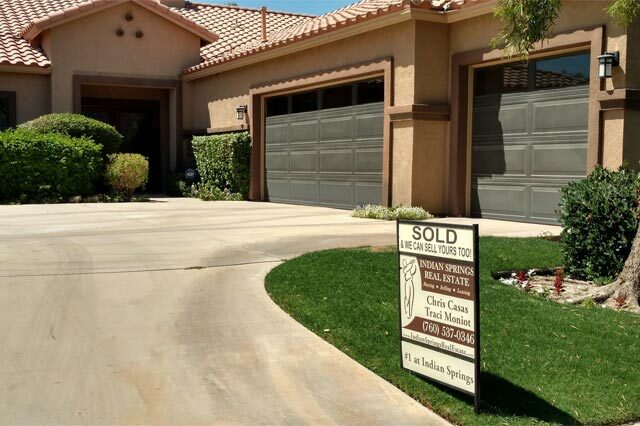 For the best service and best results when selling your home, Call Chris and Traci at (760) 537-0346 or (800) 913-4742. Please watch the video below to see how we do it! Find out how we can help you sell your home for top dollar in as little time as possible! Would you like to find out what your home is worth from a professional and top producing Realtor? Click here to receive a free home valuation. 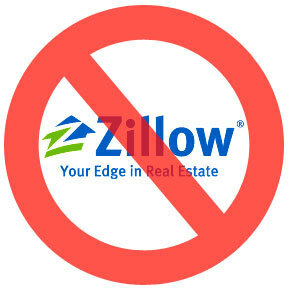 Zillow's dirty little secret to sell ads not homes! 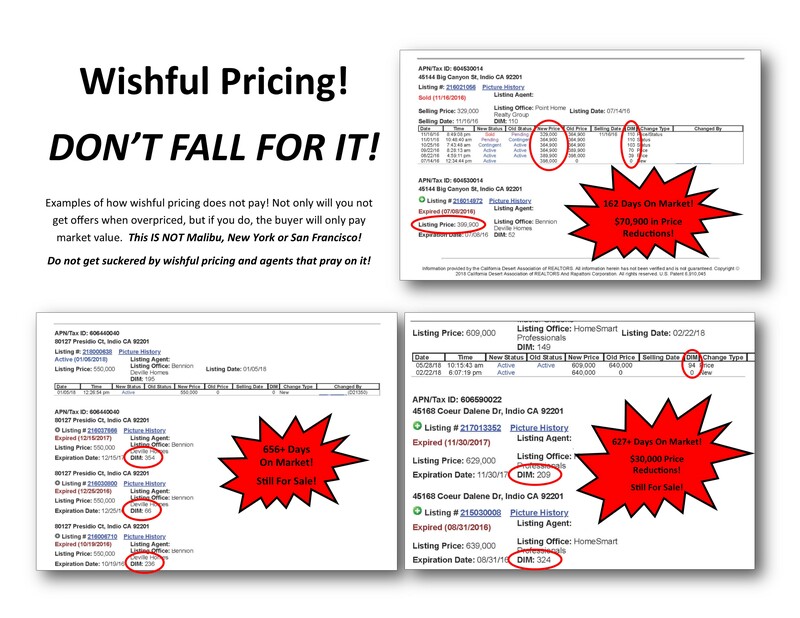 Wishful pricing and agents that pray on it by Chris Casas! Market stats for ISGC as of today! Samples of sales reports we produce for our clients. When selling your home, we produce 2D & 3D Tours of your home! Annual Sales Report for all sales inside Indian Springs Golf Club. 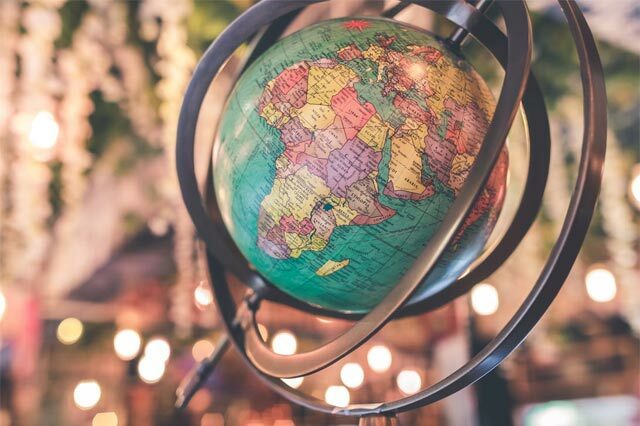 Information about Candian and foreign seller withholding, exemptions and refunds. With a track record of real estate success, clients have provided some great information regarding our home selling services and successes. Click here to learn more. Things to look at when your home has been on the market for a while and it has yet to sell.